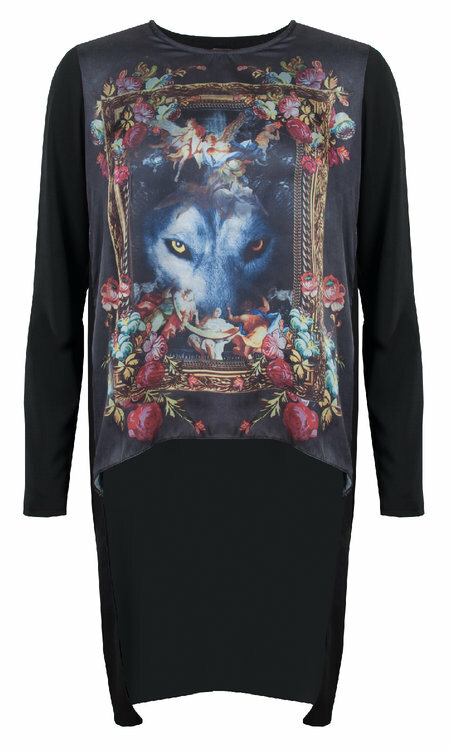 Very delicious tunic where the front is adorned with a funky print of wolves, angels and flowers. The front material has a silky feel and ends just below the waist. 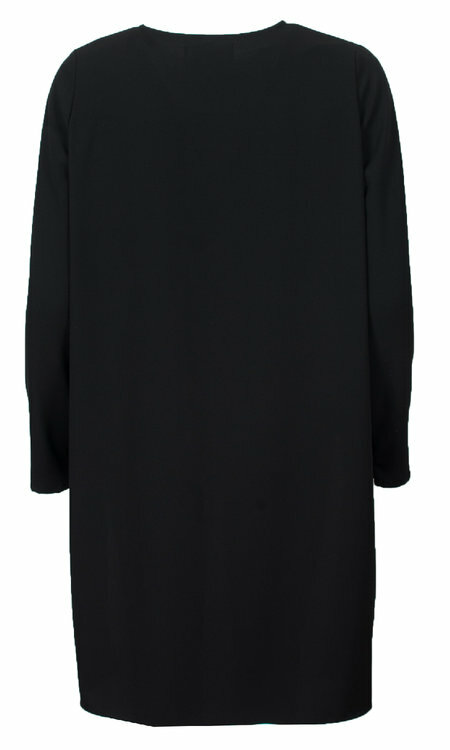 The back is all black and longer than the front.